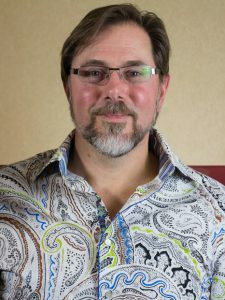 Dr. Peter Amlinger graduated at the top of his class from CMCC in 1985, and has maintained a family oriented principle based practice in Mississauga since that time. The purpose of these meetings is to unite chiropractors in the principles of chiropractic. Dr. Amlinger speaks regularly internationally and speaks at Dynamic Essentials meetings. Since 2004 he has visited Spain regularly to help the chiropractors organize the profession in that country and was instrumental in the birth of the Barcelona College of Chiropractic. He has been nominated for the Canadian Chiropractor of the Year Award three times, and was the recipient of this award in 2006. In September of 2004 he started Chiropractic Pure and Powerful, a seminar bringing some of the Nation’s best speakers together in an effort to unite chiropractors in the principle. He is also president of Purposeful Living Inc. which is a chiropractic consulting and speaking service. In 2005 he was elected to the council of the College of Chiropractors of Ontario, and in 2006 he was elected to the Executive Board of CCO. He was elected President of the College of Chiropractors of Ontario in June 2009 and was re – elected in April 2010 for a second term. He completed another two terms as President of the CCO from April 2012 – April 2014. In April 2012 he was elected Secretary Treasurer of the FCEARB. In December of 2012 he was awarded the Heart and Hands Award by the Ontario Chiropractic Association, an award commemorating Dr Michael Brickman’s contribution to the profession. He also served as Director for the International Chiropractors Association, Canada, from April 2015 through to February 2017. Dr. Amlinger is a team teacher at the Dynamic Essentials meetings and has been granted the honor of anchoring the CA program on Saturday afternoons. Dr. Amlinger sees his role as a teacher as that of facilitating personal growth in chiropractors, their families and their staff so that they can fall in love with the principles of chiropractic, integrate them into their lives, and develop their “ideal practices” from the inside out. He sees the principle as the uniting force in chiropractic and is dedicated to enhancing the understanding and utilization of the principle around the world, and to helping people realize their God given purpose. By surrendering to a life of purpose, vision and mission, one awakens their INNATE GIANT within and positions themselves to grasp the BIG IDEA. This opens the door to a life of joy and peace, and ultimately allows one to serve humanity with an attitude of loving, giving and serving, just for the sake of doing so. If interested in contacting Dr. Amlinger or, having him speak to your group, he may be reached by phone at 905-569-7080.